The DJI E310 Tuned Propulsion System for Hexacopter provides an all in one solution for the hexacopter builder. The DJI E310 system delivers greater aerodynamic efficiency and a higher thrust-to-weight ratio from the new DJI 9450 Self Tightening Propellers Grey, while increasing the reliability, stability and agility of a hexacopter system. The E310 system is compatible with all multi-rotor hexacopter platforms. The E310 kit is suppled with the DJI E310 420S ESC's which are 20 Amp rated, these ESC's have an efficient and quick response algorithm allowing for extra maneuverability and stability in windy conditions or in a rapid descent. The 420S ecs's have an EMF sheilding on the power cables, which means that the EMF is reduced through the use of coaxial-cable power cable to the ESC's. The reduction in EMF gives a better environment on the airframe for the systems to function. 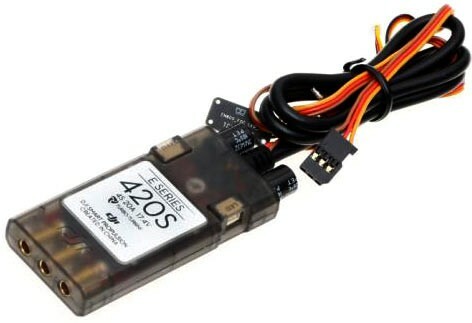 The DJI 420S ESC's are one of the most advanced ESC in multirotor industry today because they use a much more efficient sine wave driver which has replaced the traditional square wave driver found in other ESC’s. The addition of a high performance MCU and extra bus communication allows the 420S ESC’s to control the motor in a “closed loop”, while monitoring the health and condition of the system in real time with DJI's "Smart ESC interface". The 420S ESC’s have an anti-spark circuit that is used to protect the circuit and the connectors during removal and connection of power to the ESC. The 420S's also have an active braking and energy recovery system that allow for additional manoeuvrability; this also helps to save precious battery power at the same time. The 420S ESC's have a built in LED to help with navigation at longer distances and to communicate the ESC status. DJI have added a data port to the ESC which will allow for future firmware updates online. The 2312 motors found in the E310 Tuned Propulsion System feature the precise single strand winding; this gives the motors an ever higher slot fill factor in the stator. 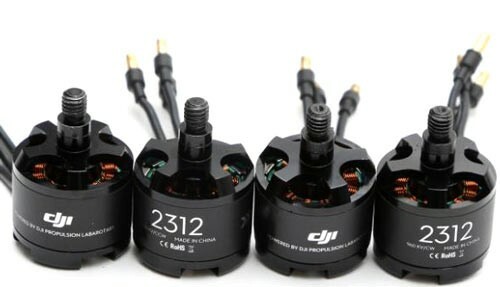 The single strand winding saves space and allows better air circulation in the motor, these factors combine to significantly reduce the motor temperature and increases the maximum thrust and operation time from a motor which has the same size as previous motors in the DJI range. 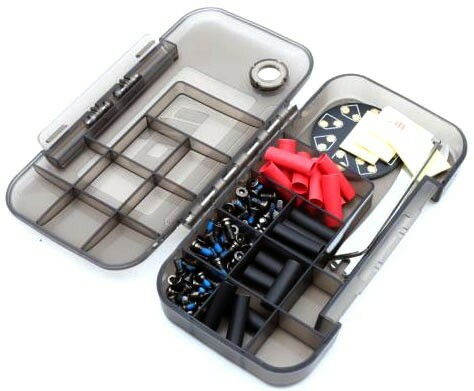 The E310 kit has the self-tightening propeller design seen on other systems from DJI like the Phantom series, this prevents incorrect installation of propellers and contunually applies pressure to the blades to keep them in place, no more propeller nuts coming off in flight.